One might think these are exaggerations by Arabs. Obviously, they take great pride in their language and heritage. But the truth is, this is not an exaggeration by any means. Scholars have compiled books listing out all the synonyms of certain words in Arabic. There is a book mentioning 70 synonyms of honey by Firouzabadi (Al-Kitab al-Jami’ fil ‘Asl). Ibn Khalawayh has books on the names of the lion for which you can find an english translation here. He has also written a book mentioning 200 names for the snake. 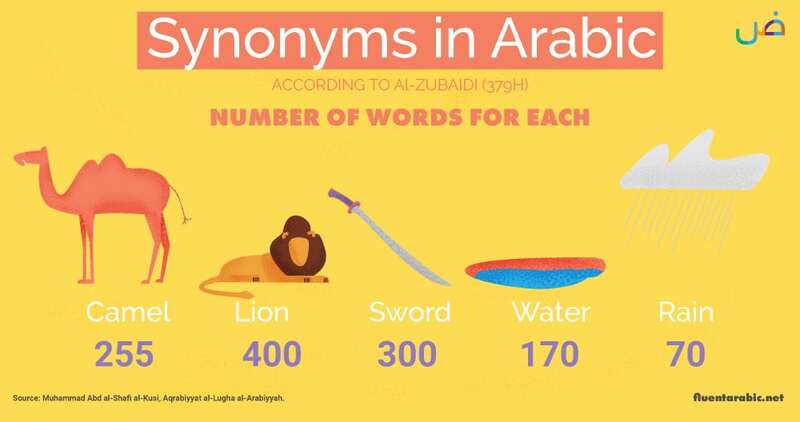 Al-Zubaidi (379H) says that there are 400 names for the lion, 300 for the sword, 255 for the camel, 170 for water, 70 for rain, and each of these words have a particular usage. But why does Arabic have so many words for the same thing? I mean 10 synonyms for lion is understandable, but 400? To understand this, we have to understand the position language held in the Arab society. The Arabs before the advent of Islam were largely an illiterate society. Poetry was the means by which news was spread, and stories were told. Events were immortalised through poetry. Some poets became so powerful, that sometimes all it took was a single line of poetry to make a tribe lose its status. And, sometimes the opposite happened. And perhaps, out of this obsession the Arabs became true masters of the language. Not only does Arabic have an insanely large number of words, each synonym varies slightly in meaning! When it come’s to finding the right word for the right thing the Arabs take it to a whole new level. Let me show you what I mean. If you are starting out learning Arabic, you might find this overwhelming. But you shouldn’t really worry about this, as most people don’t use these words in conversation anymore. And you definitely don’t need to master all these words to understand Arabic. But the point is, you should keep adding on to your Arabic vocabulary for the rest of your life. It is an enlightening experience to know all the shades and indications of a rare word, and then read it in the Quran or Hadith. 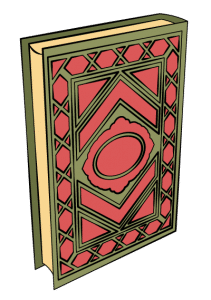 You will have a whole new level of understanding of the Verse or Hadith or even classical poetry. What arabs consider fluency is the ability to express the maximum meaning, in the smallest possible number of words. And Arabic is an exceptionally remarkable medium to do so. The total number of words in the Arabic Quran is 77,429 (Source: Quran Corpus). 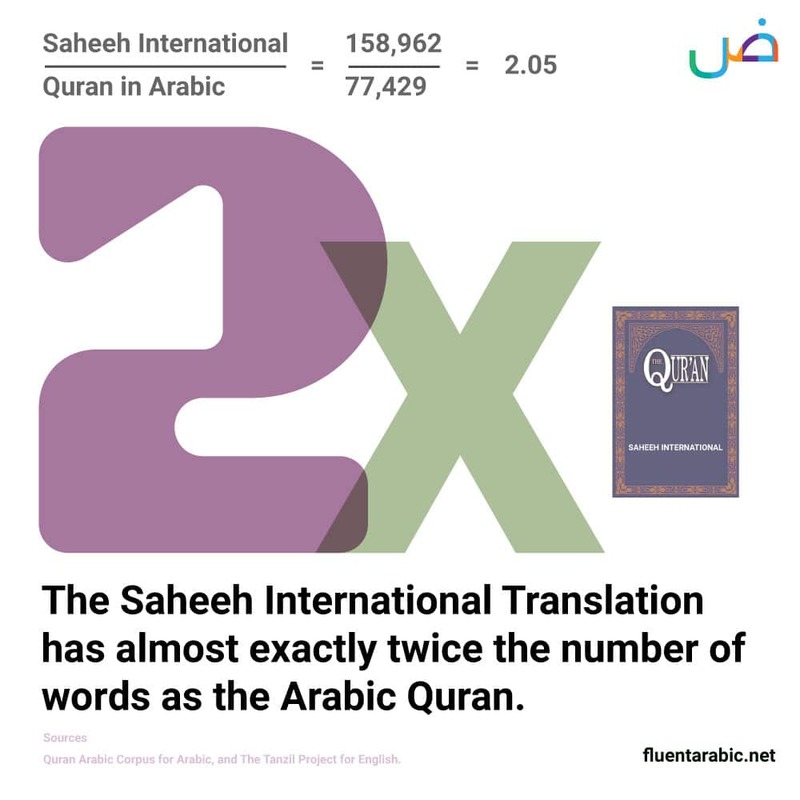 But the Quran in English (Saheeh International Translation) is 158,962 (Source: tanzil.net). That is almost exactly twice the number of words! So it takes twice the number of words in English to say the same things. Please note that the number of words may vary slightly based on the way they are counted using a computer program. 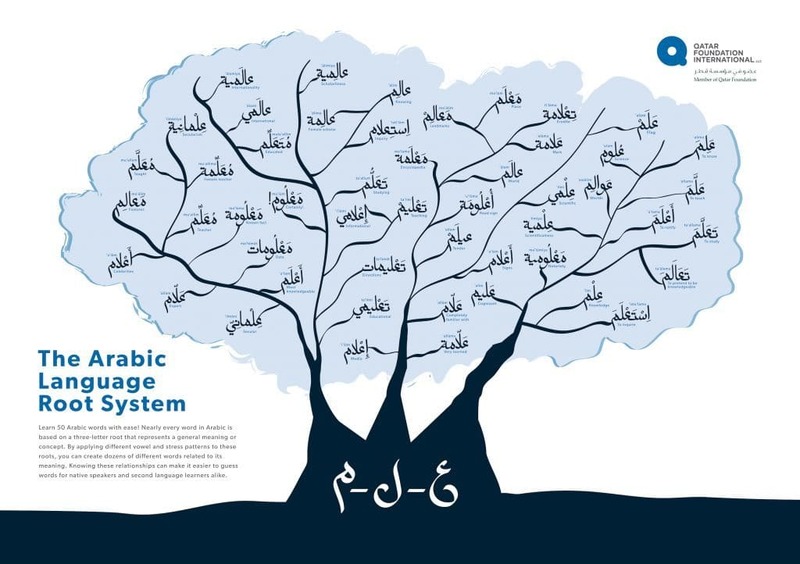 Every word in Arabic can be traced back to a root word. These root words are mostly 3 letter and sometimes 4 letter sequences which represents a general concept or meaning. 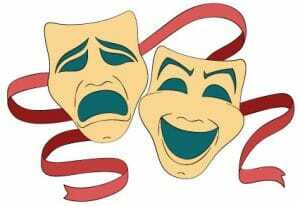 All the words that stem from this root word will have a link to this meaning or concept. For example, the root k-t-b carries the meaning ‘write’. 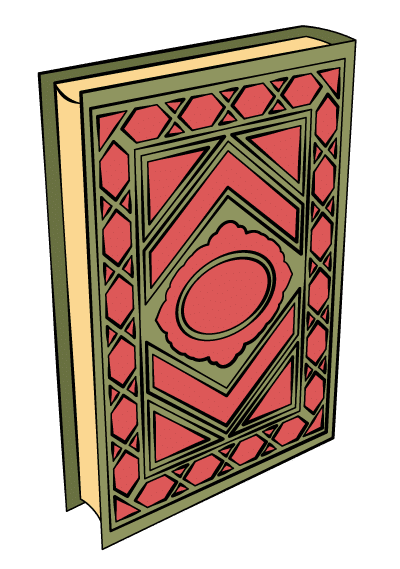 From it comes ‘kitaba’ writing, ‘kataba’ (he) wrote, ‘maktaba’ library, ‘kitab’ book, ‘katib’ writer, ‘maktab’ office (somewhere you write things), and so on. Once you start learning Arabic you will start seeing patterns to how these words are made. For example, verbs in the past tense follow the pattern of kataba ( Eg. ‘qar’a, ‘wa’qafa’, ‘dhahaba’), place nouns follow that of maktab ( Eg. ‘masjid’, ‘majlis’, ‘mahkama’ ) and so on. This means that once you know the root word, you will start recognising possibly hundreds of other words from just that one word! Not only do words have so many synonyms, sometimes the same word carries so many meanings. And where this gets interesting is that sometimes the same word can be two exactly opposite things. “Indeed, these [disbelievers] love the immediate and leave behind them a grave Day”. But in reality there is more to this ayah than the meaning in this translation. I always use to think, shouldn’t the Yawm al Qiyama be ‘in front’ of the disbelievers, rather than behind them? Because it is in the future? Turns out, ‘Wara’ can mean both ‘in front’ and ‘behind’, and if you go to the Tafsir of this ayah you will find a lot of them interpret ‘Wara’ to mean in front here. And you can find reference to the usage of ‘Wara’ to mean ‘in front’ in the language of the Arabs, if you refer to classical poetry. Is it not what is [ورائي] in front of me, if my death was delayed (and I reach old age), that I will always be with a cane, with my fingers wrapped around it. Talking about the generations past; When I walk it will be as if I am bowing down (Ruku’) every time I stand up. If you are wondering how one is supposed to understand what they mean if opposite meaning are possible, the answer is: you should discern it from context. It is part of the beauty of the Arabic Language. These are only a few of the amazing aspects about Arabic. There is a lot more to look at like ilm al-balāghah (rhetoric), ilm al-‘Arūḍ (poetic metre) and so much more. 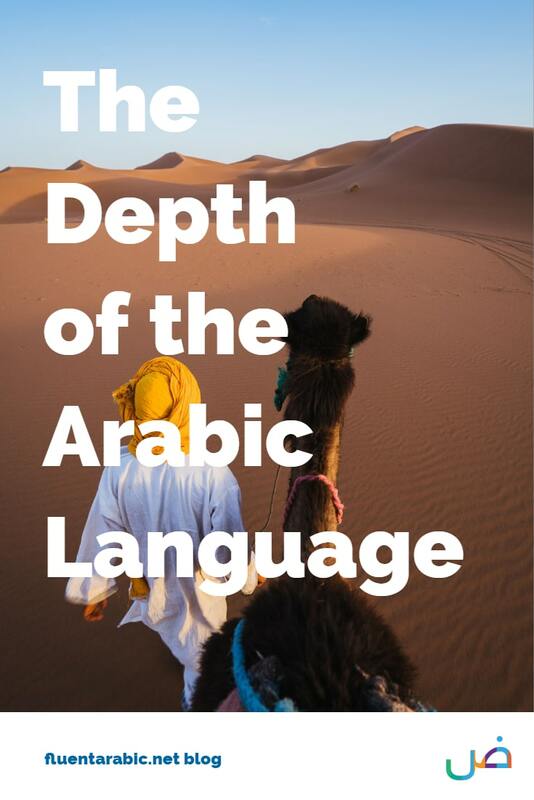 Sign up to receive updates about new articles like this one on Fluent Arabic.